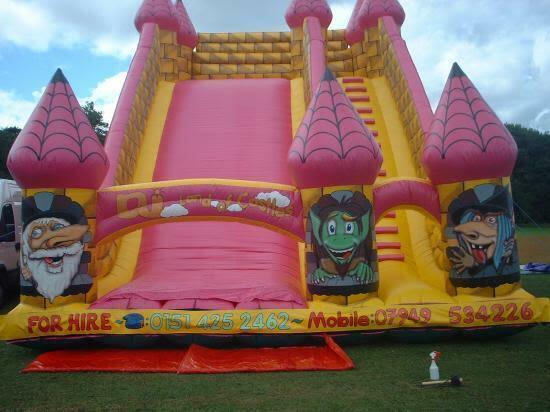 the biggest slides in the north of england. Here is the giant camelot inflatable slides which is the biggest slide in north west england.The size is 40ftlong 30ft high and 25ft wide its platform is 17.5 ft high, that is the height that you slide down from. 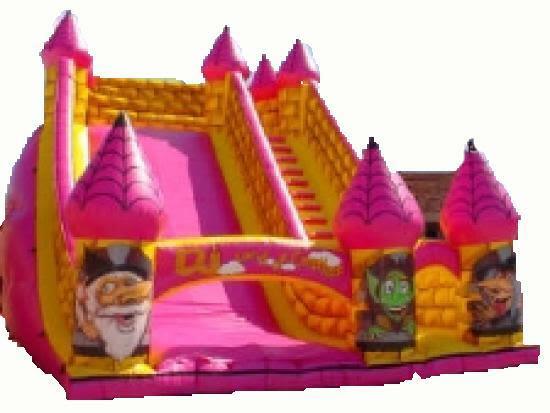 So if you think your up for it book in while its on offer for your party.We deliver our themed bouncy castles, inflatable slides,rodeo bull hire,plus are assault courses and adult bouncy castles and domes,to Merseyside & Liverpool, Widnes, Runcorn, Wirral,Warrington, and St Helens, and some of these areas and further areas will be a additional fuel charge or toll/tunnel charge.Check our delivery checker on our home page,it will tell you if there is a charge for your area.